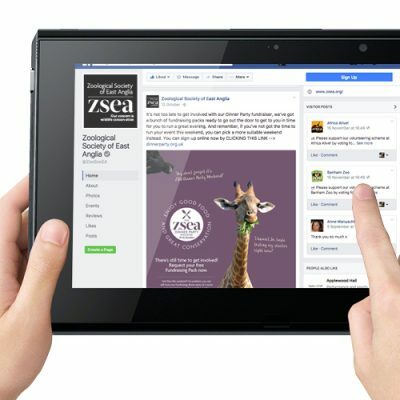 2016 saw us begin working with one of the region’s most interesting charities, the Zoological Society of East Anglia. The client’s brief was straightforward – ‘create us a repeatable, self-running mass participation event, or in other words, find our ‘Macmillan Coffee Morning’ equivalent’. The charity had wisely commissioned research to better understand what awareness, if any, there was of them and their work. The research also focused on the region’s general attitudes towards charitable donations, favoured methods of giving and propensity to support the charity’s work from the various audiences. We put our planning heads on and dug deep in to the research findings. It was all good, illuminating stuff and working with the client team, we soon began to identify and create pen portraits of our target supporter. Our most likely giver was 60+, men and women (with a slight female bias), who had an active interest in wildlife and conservation. We had a good grasp of their lifestyle, interests, annual income and favoured methods of fundraising and giving. We created four campaign ideas that would engage this target demographic directly and align with current trends in mass participation charitable fundraising. The commissioned campaign was simple; ‘The ZSEA Dinner Party Weekend’. We identified an activity our target audience were comfortable with and already involved with on a fairly regular basis. We asked them to do it again, but this time in aid of a charitable cause they had empathy with. 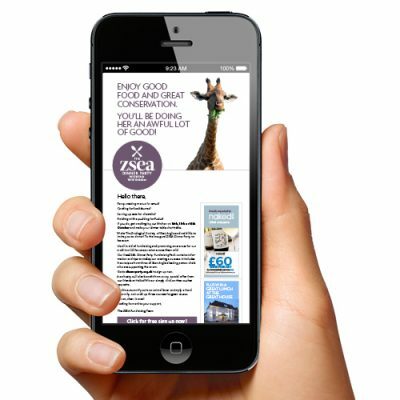 The campaign had a limited media budget so we concentrated it into online ads, email marketing, social and a scattering of printed media, as well as promoting it at various regional food events. 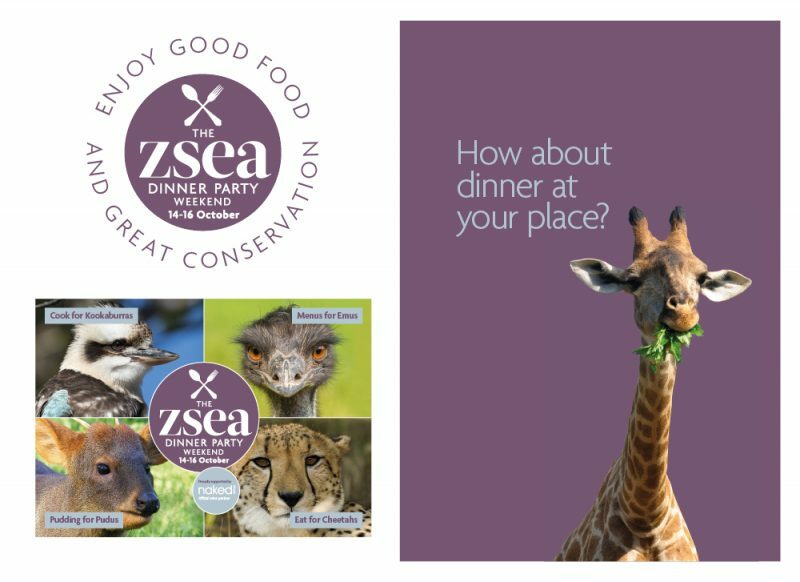 We also produced a fundraising response pack, which was sent to all participants containing guidance on running their ZSEA Dinner Party event. 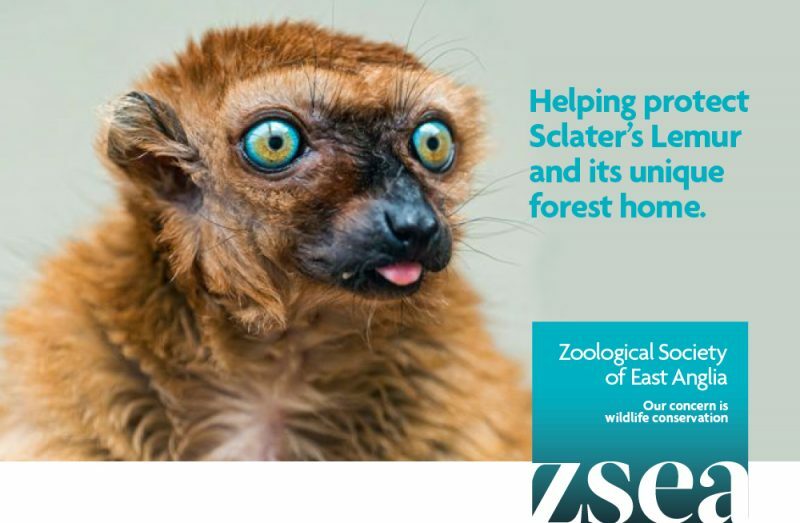 It included formal invites, table place cards and a factsheet stuffed full of wildlife-based fun and games to keep guests entertained after a few glasses. We even recruited three of the region’s top chefs, who gifted some of their signature recipes to the event. More than 100 households across the region signed up and got involved. Not a bad result for year one, especially when the campaign to event lead-time was just 6 weeks, and there was no budget for any major paid-for advertising. Valuable learning from the inaugural campaign is already being planned into 2017’s event.